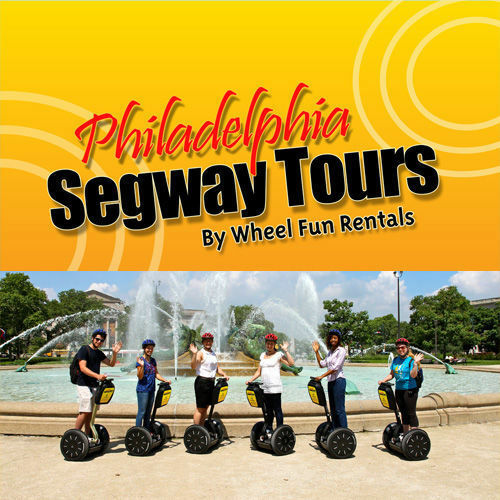 Thank you for visiting Philadelphia Segway Tours by Wheel Fun Rentals. If you’re looking for a fun thing to do outdoors in Philly, a Segway tour is the most fun you can have on two wheels. Your group can meet us at the Independence Visitor Center to experience more than 30 of Philadelphia’s most popular attractions on the Full City Tour, or drink in some American history and retrace the steps of Benjamin Franklin and George Washington on the Old City Historic Tour.